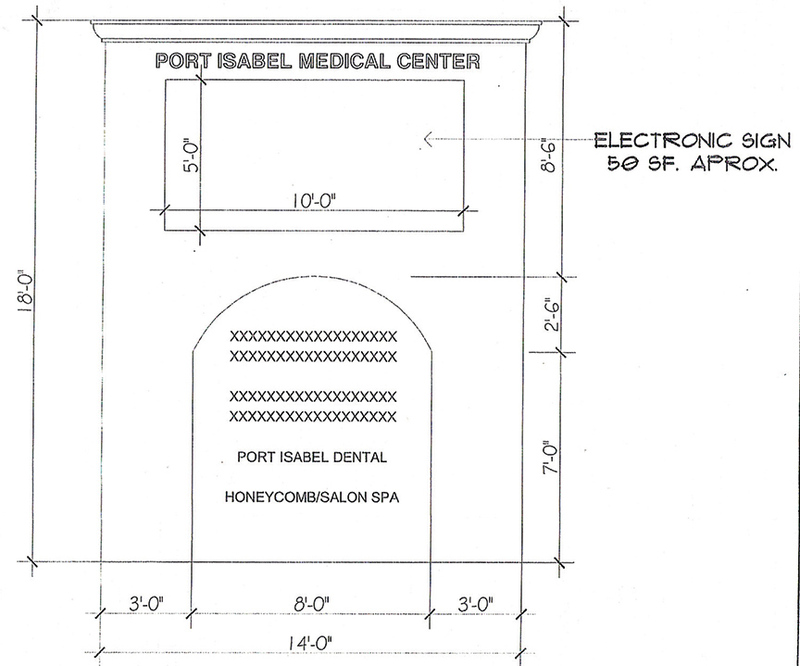 In a tense meeting Wednesday evening, the Port Isabel Board of Adjustments (BOA) voted to deny a variance request to erect an electronic sign at a medical plaza currently under development along Queen Isabella Boulevard. The request was submitted by local developer Herb Houston, Jr., who has been working on upgrading the plaza, located at 215 W. Queen Isabella Blvd., that currently houses Port Isabel Dental Clinic and Honeycomb Salon and Spa. Wednesday’s meeting was the second time Houston has appeared before the BOA in recent months in an attempt to gain approval of the variance. Houston was joined by Port Isabel Dental Clinic dentist, Armando Salazar. According to Houston, an as-yet unnamed hospital has expressed interest in locating an emergency medical center in Port Isabel at the property Houston is developing. During the first meeting between Houston and the BOA in early July, Houston said that the interested company has requested Houston install an electronic sign as part of a list of requests it has made during the negotiation process. Houston also contended the decision was a matter of urgency, as a TxDOT right-of-way permit was soon set to expire. The BOA ultimately tabled the matter, holding off on making a decision due to lingering questions regarding the wishes of the City’s Historic Preservation Board, among other concerns. The plaza is located along the outermost edge of the City’s historic district, which stretches from South Shore Road, east to the Laguna Madre.